European Union leaders could hold off making any final decision on any Brexit delay when they meet in Brussels later this week, senior diplomats in the bloc said, depending on what exactly British Prime Minister Theresa May asks them for. The senior national diplomats in Brussels spoke on Monday afternoon (18 March) after the UK’s speaker of parliament seemed to have dashed May’s hopes for a third House of Commons vote – which had initially been expected as soon as this week – to approve her stalled divorce deal with the bloc. British Prime Minister Theresa May’s bid to get her EU divorce deal through parliament was hit Monday (18 March) with a bombshell announcement by the speaker, ruling MPs could not vote again on the same proposal they had already rejected. 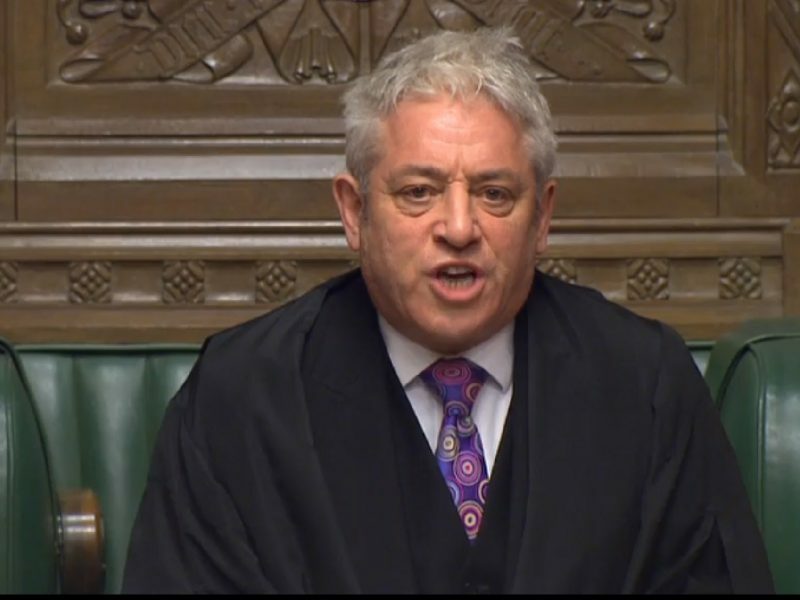 The speaker, John Bercow, said the deal would need to be fundamentally different to qualify for another vote, after parliament rejected the agreement in January and again last week. As the EU’s Brexit planning was thrown up in the air again, several senior EU diplomats said the leaders’ summit on 21-22 March could chose not to make any firm decisions. “Now it looks like we have to wait till the week after the Council to find out what happens,” said one diplomat. With no divorce agreement yet ratified, the UK parliament voted last week for May to seek a delay of the exit date. 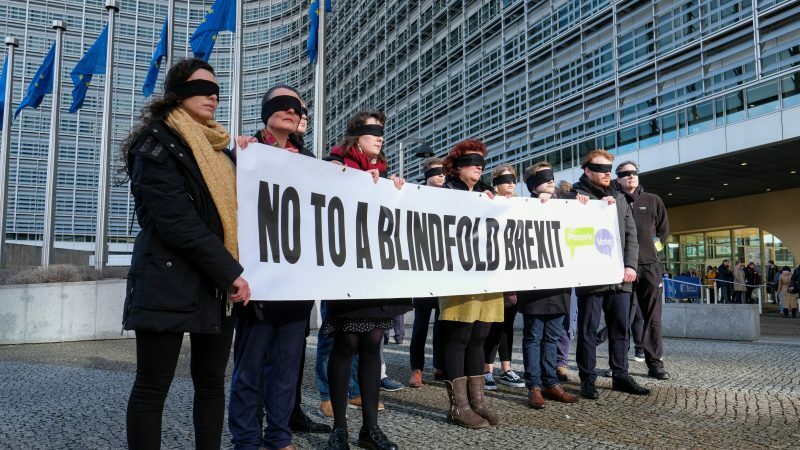 Any such delay beyond the current date of midnight (2300 GMT) on 29 March would need to be unanimously backed by all the other 27 EU states staying on together after Brexit and the Thursday-Friday leaders’ summit was seen as the time to do it. Another senior diplomat said the leaders could decide to skip any final call on any extension of the divorce negotiating time – long or short – unless there is a third vote in the UK by Thursday. “The summit would not take a final decision but just discuss political parameters and conditions. May would win a few more days. We would decide next week through a written procedure,” a third person said under condition of anonymity. Sources in the EU’s political hub Brussels said earlier on Monday that Britain could ask for a Brexit delay even after the summit, suggesting that the decisive moment for Brexit might still be some days ahead. They said that the 27 national leaders would not necessarily need to meet physically to approve any such request, if it came from London, as it could be done through a written procedure. May has said she would seek only a short postponement to prepare the necessary legislation if her deal is endorsed before 29 March, and dangled the prospect that if it is not, the exit from the EU could face a long delay. Many Brexiteers worry such a postponement could lead to Brexit never happening. The EU is unlikely to refuse an extension, to avoid being blamed for economic disruptions if Britain crashes out of the bloc with no deal in place to mitigate the impact. But leaders have yet to discuss their preference for a short delay – until the end of June – or a longer one until the end of this year, or even 2020. A document circulated among the 27 EU ambassadors by the bloc’s legal services last Friday said “in principle”, Britain could get more than one extension. But it said the EU must avoid damaging the legitimacy of the bloc’s new European Parliament, which will convene for the first time on 2 July following 24-26 May elections across the bloc. “If an initial extension puts the withdrawal date after the date of the European Parliament elections, and if these elections were not organised by the withdrawing state, this would make any further extension impossible,” it said. Some in the EU worry that Britain could extend until the end of June while eschewing the European elections and then revoke its leave notice, which it could do unilaterally by law, putting the status of the bloc’s new parliament in doubt. A multi-layered problem. Divided UK nation (up north voted against Cam-moron which is different to voting against the EU). Divided parliament: many tories and many labour want to remain. Divided governing party: the tories have been split on the EU since the 1980s – this is just the latest & most extreme manifestation. Labour is split between those that support a more social approach to the UK’s problems (Corbyn et al) and those that still support former Uk prime mincer B.Liar’s approach. Some in Labour think their outline programme would be limited by EU membership (it would not). However, the Brexit saga suits the tories since it masks their incompetence and the abject failure of their neo-con approach (privatisation of most gov sectors). Scandals erupt each week but are obscured. They are far to large in number to list. The above is amplified by May. Stubborn, isolated and not very bright. & those are her good points. Not a people person, incapable of compromise. Her record as minister for internal affairs was one of abject failure – for example: she deported UK citizens (based on the colour of their skins) to foreign countries – she is a racist, ditto her party. Where will it end? probably a UK leave but not in the current form. Thus do national failures (& this is all about national failure of both of the main parties to divvy up the national economic cake in a fair fashion) manifest as international problems. It is also a UK institutional failure – having people in power who imagine they are “born to govern” but in reality are unfit to run a corner shop – a comment which applies as much to May as it does to Camoron, the entirety of Uk gov ministers and indeed previous governments (B.Liar’s and John Underpants-man Major). In June 2016 Britain a majority of voters voted to leave the European Union. By MP’s seats this was by 406 parliamentary constituencies to 242. However, in recent days, the MPs in a Remainer House of Commons have voted against leaving the EU on Barnier Treaty terms, against leaving the EU with No-Deal, and in favour of extending Art 50 to put Brexit in limbo. There is now no Leave option which the House of Commons will allow. Care to define what “leave the EU” means – it was not defined at the time of the referendum & the current chaos shows the difficulty of reaching any sort of agreement. Brexshitters love to characterise “leaving the EU” as something black & white – it ain’t & it never was. Wheeling out the usual “democratice vote” crap is just that – the vote was meaningless because no definition was given. As for – oh look 406 constituencies – yup but meaningless if you buy into MPs are not delegates. One of the claims of the brexshitters was that leaving would bring back power to – one supposes- the HoC – now that the HoC is exercising its power – Brexshitters seem very unhappy. Brexshitters: they don’t know what they want – but they want it now. Brainless neocons. When Parliament can vote on an issue multiple times (when some amendments are made), why can’t the public?